This post was first published in the Brown Paper Tickets newsletter. Get more articles about hosting successful events by subscribing here. 2. Don’t always talk about yourself. Buying tickets to your event should be effortless. Don’t make your interested followers have to hunt around or search for your event. Every time you mention your event, include a link where people can buy tickets. Don’t just link to the Brown Paper Tickets home page, but directly to your event page. Buzz is beautiful. The more people talking about your event, the higher the demand for your tickets. You can get people talking by offering a couple pairs of tickets as giveaways on your Twitter feed. Make it simple. For example, ask people to RT (retweet) your event link and say why they want to go. Then choose the winner from the RTs. By sacrificing just a couple pairs of tickets, you can get more people talking about your event to their friends and followers, reach a bigger audience and fill even more seats. Plus, free giveaways train your followers to watch your feed closely. No one wants to miss a freebie! 5. Use tools to make your life easier. Perhaps you don’t have eight hours a day to sit and play on social media? Shocking! No worries. There are tools you can use to make your life easier. Online tools such as HootSuite allow you to schedule out posts in advance. This means you can spend 15 minutes in the morning writing all your tweets for the day, then be done with it. You can also use these tools to quickly see who’s talking to and about you and respond easily. Want one-on-one guidance to help you sell more tickets on social media? Call the Brown Paper Tickets Event Promotions department at (800) 838-2006 (option 5). We can go over your event specifically and help you generate more ideas for early ticket sales. Need help getting your Twitter feed to appear on your Brown Paper Tickets event? Please call our Client Services department at (800) 838-3006 (option 3). Our team is standing by 24/7 to help with all your technical and account questions. Is the rise to rock star still the same? In this digital world, must upcoming musicians walk the traditional path of improving their art, signing with a label and touring in order to reach commercial and critical success? Nope. Not at all. It’s a whole new game. 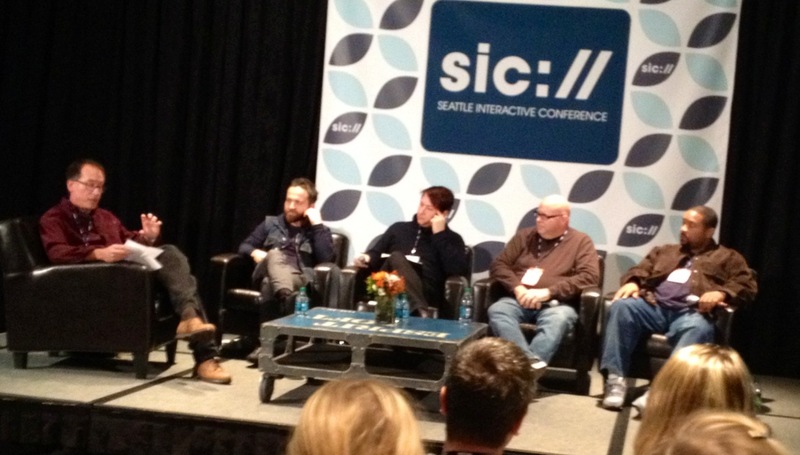 Massive change in the industry and career of the recording artist was the resounding message of luminary-packed digital music panel today at the Seattle Interactive Conference. Musicians Sir-Mix-A-Lot and Death Cab for Cutie’s Nick Harmer joined industry insiders Tim Bierman (Pearl Jam Fan Club Manager) and Aaron Starkley (KEXP). “You spend as much time trying to market yourself as you do making your music”, added Bierman. Despite the new energy and effort demands of self-marketing in the digital age, all the panelist agreed that the art form and pure experience of modern music is still intact. “As long as there are people making music and other people having moments thinking they can’t believe they’ve heard this new thing, that it’s the best song ever, that’s what matters,” said Harmer. What do you think? What changes to do you see in the music industry? Do artists have more control or less? What power do fans have in the digital era?